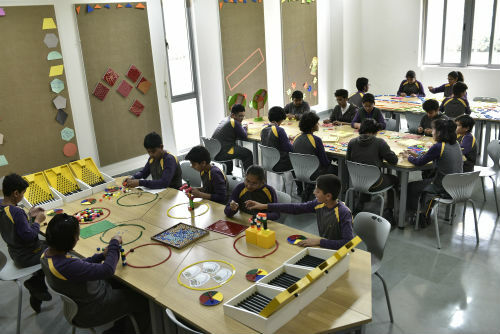 Gurgaon: At a time when the worldwide debate on comparison between traditional Indian Gurukul education system and luxurious well-furnished modern school system is on, a Gurgaon-based school had adapted the famous adage: Nature holds the key to our aesthetic, intellectual, cognitive and even spiritual satisfaction. However, there are many more reasons also behind opting non air-conditioned studying environment. During the games period in school, when children go out in the sun to play, the temperature difference from the AC to the sudden heat exposure could make them ill.